At JMI Limousine, we specialize in making your magical evening as unforgettable as possible. 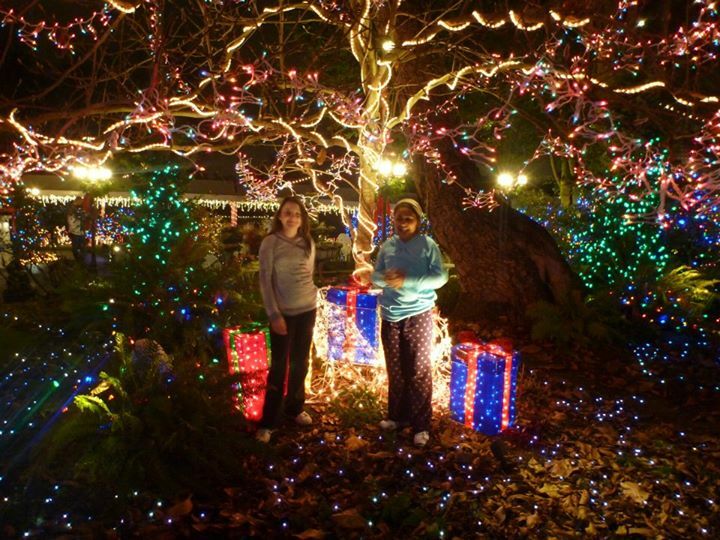 Christmas light tours are a great way for families and groups to enjoy the holiday cheer together. Watch from the warmth of your cozy limousine as millions of festive lights twinkle in the crisp winter night. 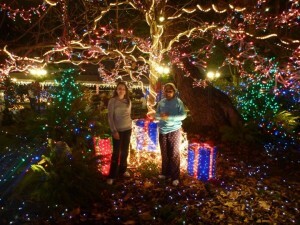 Portland, Oregon is full of great Christmas light displays and we would love to share these fun experiences with you. 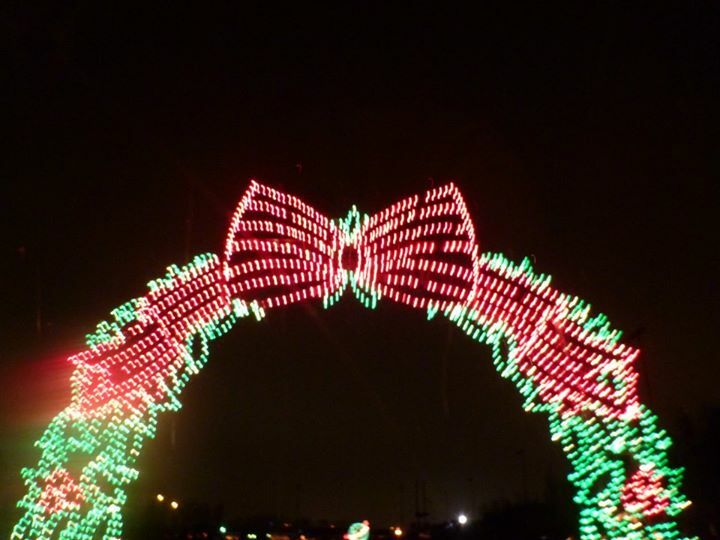 Here are just a few of Portland’s best Christmas light displays. 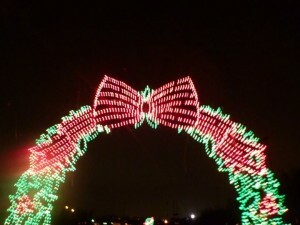 The Winter Wonderland light show at Portland International Raceway (PIR) is a must see! Widely recognized as the “Largest Holiday Light Show West of the Mississippi”, this light show boasts over 250 Christmas light displays including spectacular animated scenes. Drive through the 200ft Tunnel of Lights, then watch Santa jump down an 84-foot ski slope and enter the magical winter wonderland display while reindeer fly over your car. Portland International Raceway is located just off of I-5. You’ll want to take exit 306B, which is just a few miles north of downtown Portland. The display is open from 5-9pm on weekdays and 5-11pm on weekends. Cost: $16 per-vehicle. Cash only, no cards accepted. The historic Queen Ann Victorian Mansion lights up every year with millions of red, blue, green and white lights, which sparkle everywhere you look! From December 14th-30th, the lawn, trees and bushes to the gazebo, walkways and nearly every room of the house are filled with twinkling, beautiful lights! You can embark on a self-guided tour of the lavishly decorated mansion or follow along with one of the regular tours. The tour guides wear costumes reminiscent of the 1800s, when the mansion was constructed. Hot chocolate, Christmas ornaments, and other holiday treats are also available for purchase. The entire mansion is decorated inside and out with spectacular Christmas decorations making the “Miracle of a Million Lights” display at the Queen Ann Victorian Mansion a must-see Christmas light event. Dazzling light displays on Peacock Lane have been a family tradition for Oregonians since 1929. Peacock Lane is located one block east of SE 39th in Portland, between SE Stark Street and SE Belmont Street. 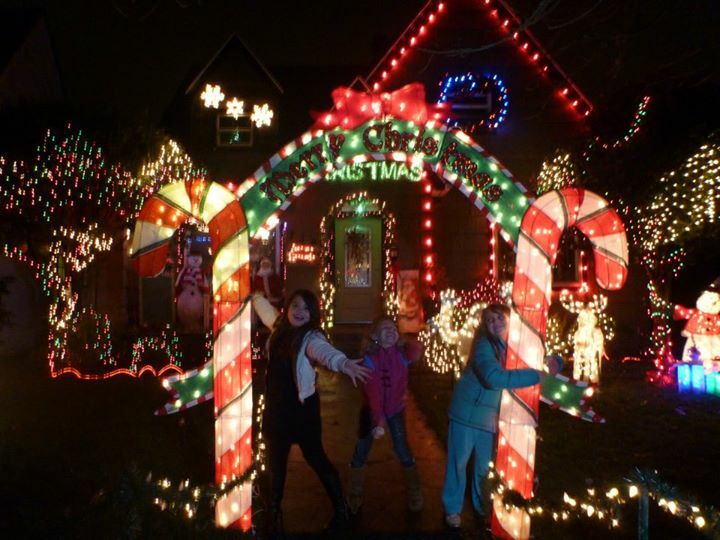 From December 15th-30th, the southeast Portland neighborhood shines with breathtaking Christmas light. Each homeowner creates their own personal Holiday theme, from nativity scenes to Frosty the Snow Man and The Grinch Who Stole Christmas light displays, Peacock Lane features some of the best Christmas lights in Portland. You can walk or drive down the lane, which usually takes around 30 minutes due to traffic. 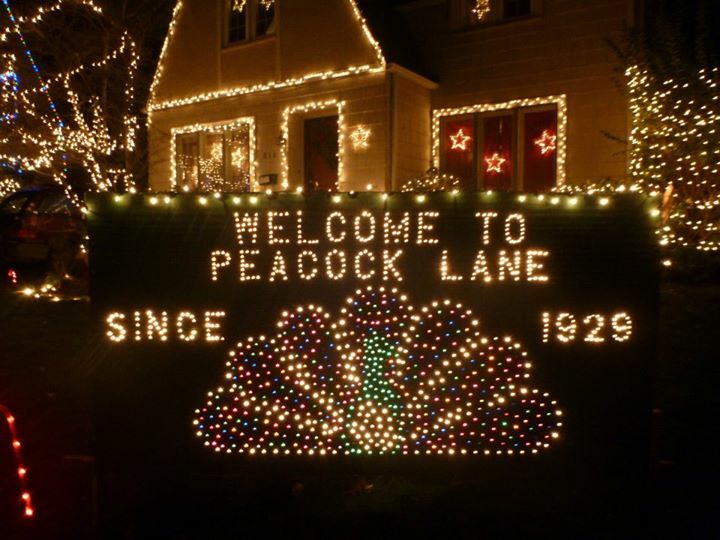 Peacock Lane is a free Christmas event and is open to the public. We love the holiday season and Christmas celebrations and would love to take you to any of these incredible Christmas light displays in one of our Portland party buses or limousines. Remember, Say No to DUI & Yes to JMI. At JMI Limousine, we specialize in making your magical evening as unforgettable as possible. Christmas light tours are a great way for families and groups to enjoy the holiday cheer together.